The iPhones are arguably the most popular smartphones on the planet. A lot of people want to buy an iPhone. Another fact is that iPhones are expensive. That is why a lot of people are looking for used iPhones. 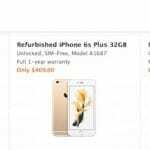 Used iPhones are more affordable and therefore easier to obtain. 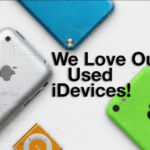 This article outlines what to watch for when buying a used iPhone. Condition is important. Used iPhones may not be looking shiny and new. Depends on the age and previous usage, you can expect some signs of wear and tear. Although small cosmetic damages will not effect the functionality of the iPhone, do not buy iPhones with significant exterior damage. If the the phone was used with protective case and screen protector, it is likely that this phone is in great condition. An iPhone can be severely damaged if it is dropped in water. Please note that although some water damaged iPhones may still look and function normal, there could still be serious interior damage. Do not buy a water damaged phone. So how can you check for water damage? It is really simple. Take a peek inside the headphone jack sensor and the dock connector sensor. Make sure that you do not see anything but white. If the color inside is pink or red, then that means that the device had water damage. Do not buy that device. An ESN is used with CDMA phones (Sprint or Verizon networks) instead of SIM cards (GSM networks such as AT&T and T-mobile).You may see some listings that advertise iPhones with good ESN or bad ESN. What this means is that a clean ESN means that that the phone can be activated with current provider while an iPhone with bad ESN cannot because it has been flagged as stolen, payment due or lost. For instance, if you buy a bad ESN iPhone from someone who used it on Sprint, then you can not activate and use this phone on Sprint. There are some sites online, (like swappa.com/esn), that let you check the ESN. Please note that a bad ESN can only be cleared by the original owner of the device. Battery: Check battery health before buying. 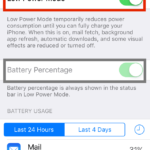 Although there is not easy way to do that, one thing you could do is to view battery usage that can help you better understand the battery health. Simply tap Settings > General > Usage and check the time since last full charge. This information can help determine if what you see is normal or not. Here is how you can judge this information. 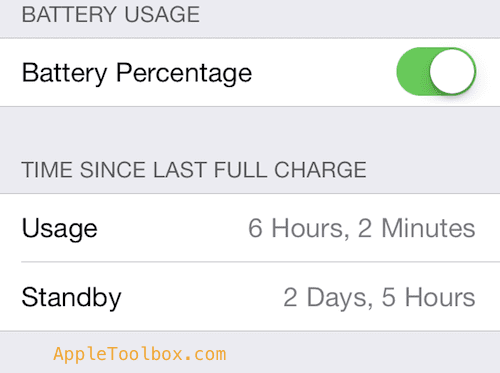 iPhones offer about 8-10 hours usage and up to 200 hours standby time. For instance, if you’re at 10% battery with only 30 minutes usage, then something isn’t right. Cameras: Simple take a picture or record a short video to see if everything is working properly and images are clean. Make a call: Simple call somebody to see if the phone is working properly. Surf the web to see if the phone can connect to the internet via Wi-Fi and cellular network. Check everything else. Make sure that built-in speaker is working. 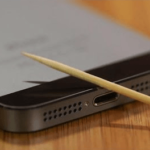 Listen to music through the headphone jack. Make sure that all exterior buttons (volume, off/on, mute and the home button) are working. And plug the phone into a charger and make sure that the device will get charged. You may learn some basic warranty information about the device that you would like to purchase. Simply enter the serial number at Apple’s site (selfsolve.apple.com). To find the serial number, simply tap, Settings > General > About. See this article to learn more. Contract iPhones designed for one carrier, such as AT & T, Sprint, or Verizon, will only work for those carriers. You may also consider buying an unlocked iPhone which can work on any GSM network (like T-mobile, AT&T etc). Please note that unlocked phones may be more expensive. You should also check if the phone is really factory unlocked as the seller may claim. You may want to put in another GSM provider SIM card, and see if the iPhone gets service before buying. If the phone get service then it is unlocked. If you do not have an alternative SIM card, you can also check this online. Various web sites will let you do that, such as iphoneimei.info. You need the device’s EMEI number to check. One way to find the EMEI number is tap Settings > General > About.